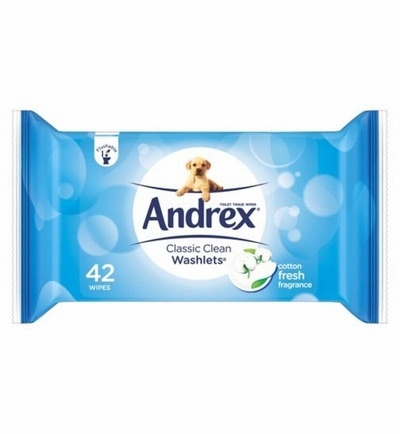 Andrex wants everyone to feel as clean as possible and these Classic Clean Washlets are designed with this in mind. These lightly moistened toilet tissues with a cotton fresh fragrance will leave you feeling extra clean and fresh when used alongside your regular Andrex toilet paper. These wipes are flushable and skin pH neutral, dermatologically tested and biodegradable! 1255mm x 184mm.